This week Emarsys announced their newly designed platform called “Emarsys B2C Marketing Cloud”. The announcement comes with a brand redesign and news of ambitions of international expansion and a $33M series A funding round. A new user interface and navigation that’s fresh, modern and more intuitive. 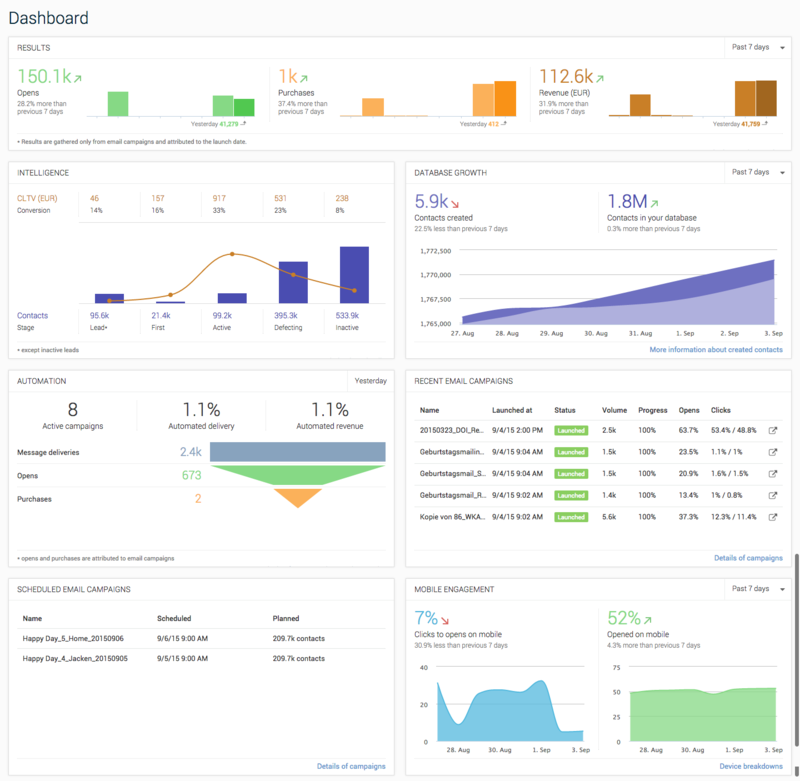 A dashboard that presents a graphical snapshot of the B2C Marketing Cloud on one screen. Multiple channels to engage or win back your customers. For instance target customers that don’t open emails with SMS messages and social advertising. A solution to provide your customers with a personalised browsing experience through Emarsys Discovery. Identify customer segments by predictive revenue and purchase patterns, metrics such as: customer lifetime value, time between purchases and more. 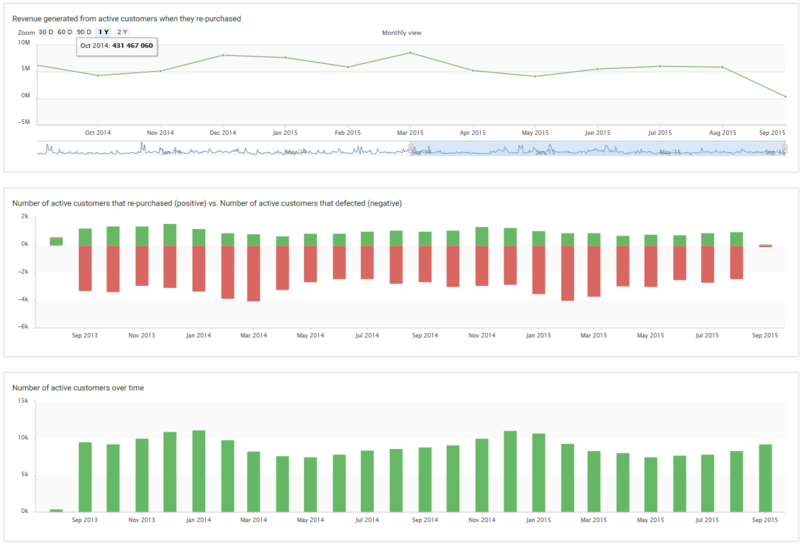 The redesigned dashboard shows many important metrics from inside the B2C Marketing Cloud. Users can also drag and drop the widgets around and customize it however they want. There is a new page added to the Contacts menu called Combined segments. Here a user can take any of his existing Emarsys segments and combine them, both by including segments together or excluding one from another. The resulting combined segments are then displayed on their own page. The Smart Insight screens have been localized and are now available in all supported languages. In addition a couple of enhancements. Marketers can now export the data from most of their Smart Insight charts in .CSV format. •	the revenue generated from these conversions. •	the number of contacts moving in and out of the segment. •	the total number of contacts in the segment at the end of each month. •	Time to purchase – from entering the segment to the next purchase. •	Number of purchases – the number of purchase for a typical contact in the segment. •	Lifecycle length – the time from registration to the last purchase for a typical contact in this segment. •	Instant first-time buyers – the % of contacts who registered and purchased on the same day. •	Winback rate for first-time buyers – the % of former first-time buyers in that segment who purchased again. •	Winback rate for active customers – the % of former active customers in that segment who purchased again. The Predictive Revenue tab additional metrics which show the monetary value of each 1% of conversion over the last 30 days, and the predicted future revenue for each additional 1% of conversions. The segment with the highest value is flagged by a Best% marker. In this way users can compare the performance of the different segments and decide where your marketing budget would be most effectively spent. 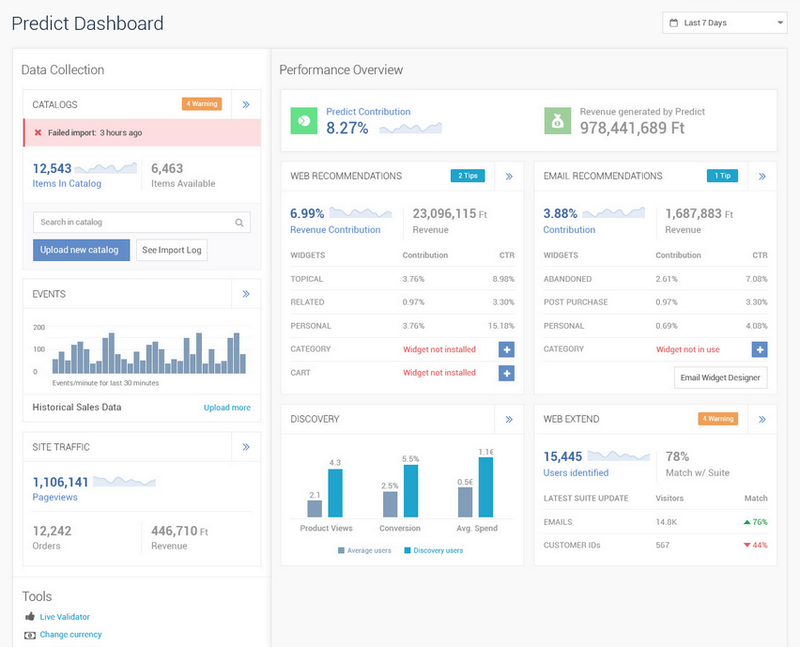 The new Predict Dashboard shows the status of all the Predict widgets on the same page. It shows the exact status of the integration during the set-up and what steps to take next. It also highlights any Predict features or products which you are not yet using. This is a new feature from Predict focusing not only on recommending products, but also giving a “showroom” interface layered above your website. Intended to show customers products they’ll love from the product catalog, depending on their interests and mood at the time. This makes it easier for your customers to view, and to buy, more of your products.